Dr Michael O'Sullivan, at the University of Portsmouth, has uncovered evidence of well armed and substantial flying reptiles from historically important, but overlooked, British Jurassic fossils. He's also found a new species of pterosaur with a wingspan of two metres – as large as a modern mute swan, and a giant in its time. 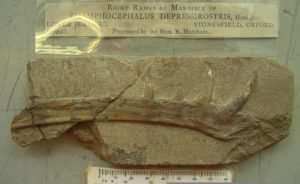 Some 200 fossils of flying reptiles – pterosaurs – have been collected over the last two centuries from the Stonesfield Slate, but their significance has been long neglected by palaeontologists, probably because they are mere fragments. 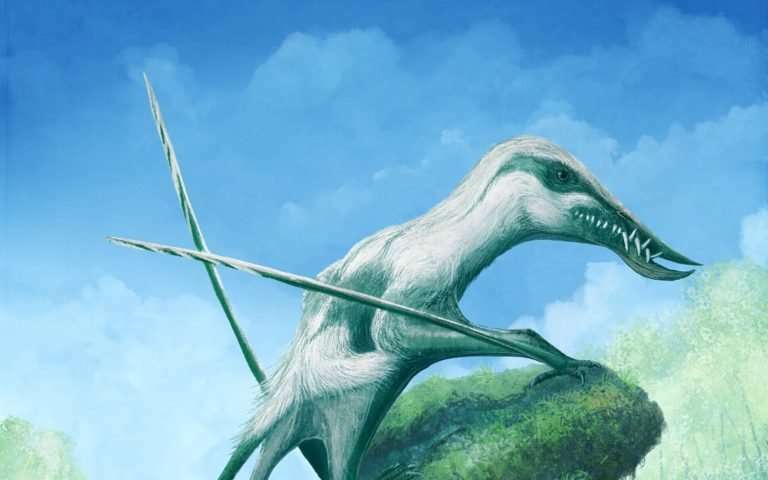 Closer inspection has revealed evidence of multiple pterosaur lineages in the UK's Jurassic past, including some unexpectedly large and formidably armed species. The research is published in Acta Palaeontologica Polonica where it is highlighted as editor's choice. Dr O'Sullivan, in the University's School of Earth and Environmental Sciences, said: "It's large fangs would have meshed together to form a toothy cage, from which little could escape once Klobiodon had gotten a hold of it. "The excellent marine reptiles and ammonites of the UK's Jurassic heritage are widely known, but we celebrate our Jurassic flying reptiles far less. "The Stonesfield pterosaurs are rarely pretty or spectacular, but they capture a time in flying reptile evolution which is poorly represented globally. They have an important role to play in not only understanding the UK's natural history, but help us understand the bigger global picture as well." He has named the new species Klobiodon rochei. The generic name means 'cage tooth', in reference to its huge, fang-like teeth – up to 26mm long at a time when few pterosaurs had any teeth – and the species name honours comic book artist Nick Roche in recognition of the role popular media has in how extinct animals are portrayed. Only the lower jaw of Klobiodon is known, but it has a unique dental configuration that allows it to be distinguished from other pterosaurs. It was likely a gull or tern-like creature – a coastal flier that caught fish and squid using its enormous teeth, swallowing them whole. Much of Dr O'Sullivan's research has involved untangling the messy science associated with these neglected specimens. He said: "Klobiodon has been known to us for centuries, archived in a museum drawer and seen by dozens or hundreds of scientists, but it's significance has been overlooked because it's been confused with another species since the 1800s." Klobiodon and the other Stonesfield pterosaurs lived alongside one of the most famous and important dinosaurs in the world, the predatory Megalosaurus, the first dinosaur ever named. But as global sea levels were higher, and the world was much warmer, their Jurassic Britain was a series of large tropical islands. Dr O'Sullivan was examining the Stonesfield pterosaur collections held in museums across the UK for his PhD studies when he found evidence of three distinct types of pterosaur, some of which are the oldest of their kind, as well as evidence of a new pterosaur species. Stonesfield Slate, where the new pterosaur fossils were found, is a rich source of Jurassic fossils about 10 miles northwest of Oxford. 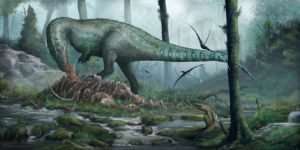 It is where, in 1824, Britain's first discovered dinosaur, the Megalosaurus, was found. The quantity and quality of such fossils from the area might be why these fragments have until now been overlooked.